My grandfather was good at tying knots. Unlike knots these days, the knot that my grandfather tied lasted over 70 years. These days it seems as if people are tying slip-knots. My dad wasn’t too bad at knot tying either. His knot is fifty years strong and still holding tight. I can only hope that the knot I tied on July 26 will last as long. To try and figure out just why the knots lasted so long is beyond anyone’s guess, but if my grandfather were alive today, he would attribute it to love and devotion. I can see that love and devotion in my parent’s eyes as well. The wedding went great. Through almost a year’s planning, everything went over without a hitch. Well, almost. All that aside, everything went great. Candice’s family arrived from Alberta and set themselves up at a hotel in town, and we all attended the rehearsal together. Both families gathered for the first time and we had lunch together. On Saturday, the weather was hot but sunny and dry. The photographer arrived and the women and men dressed in separate houses. I wasn’t permitted to see Candice as tradition didn’t allow it. Once the men had their tuxedos on, we posed for pictures in my parents’ backyard and the ladies did the same in our yard. Hell, even the dogs got their pictures taken with Candice. 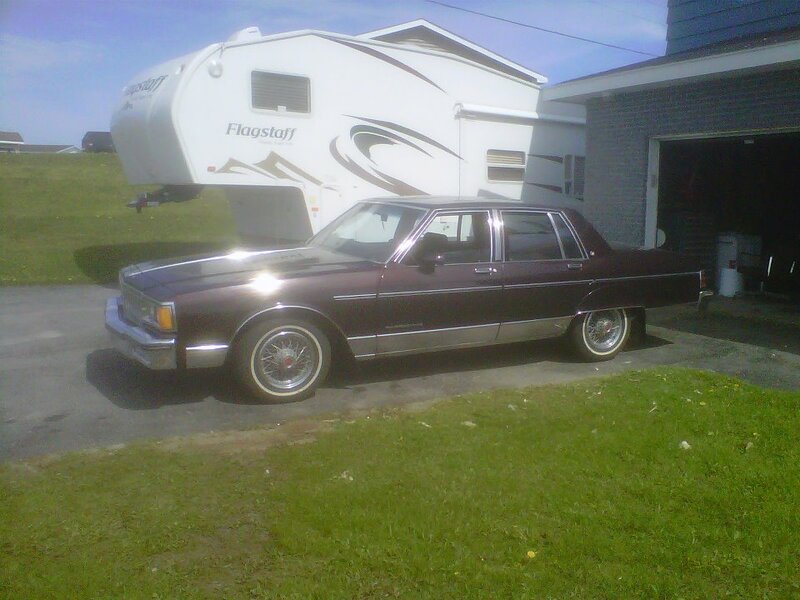 My beautiful bride rode to the church in her father’s 1986 Pontiac Parisienne, the pride and joy of her family. Her grandfather bought the car the year that he retired, and with barely 60,000 clicks on thing, it wasn’t used much since. Earlier that morning everyone got together and gave the old girl (the car, not her grandmother) a good waxing and vacuuming. I don’t think anyone was ready for the church we chose. Steeped in tradition and elegance, Our Lady of Mercy church stood tall in the large lot where it was erected way back in August of 1914. 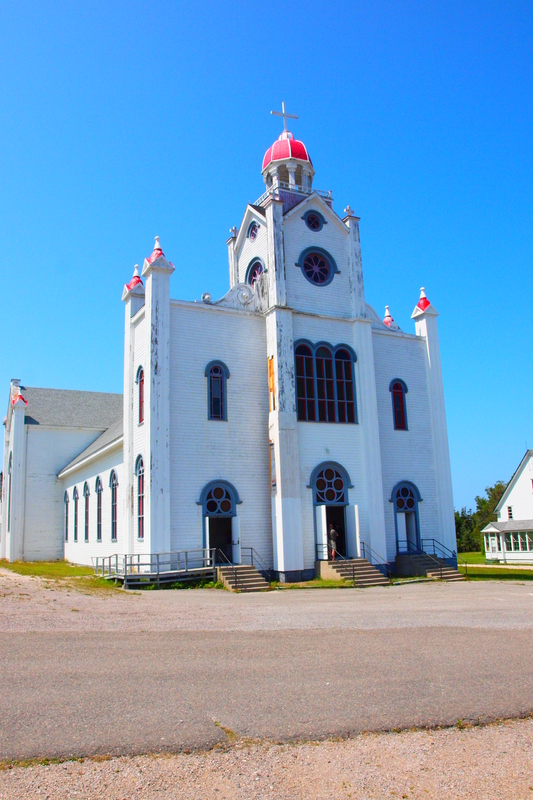 Originally built for the growing community of Aguathuna, the church was set to serve the growing community of miners who worked at the local limestone quarry. Maps from the era showed where the community was destined to become the province’s first city. That all fell through when the mine closed and most of the citizens left for greater fortunes elsewhere. The church no longer belongs to the Catholic Church. It has been sold to a heritage group known as The Gravels. 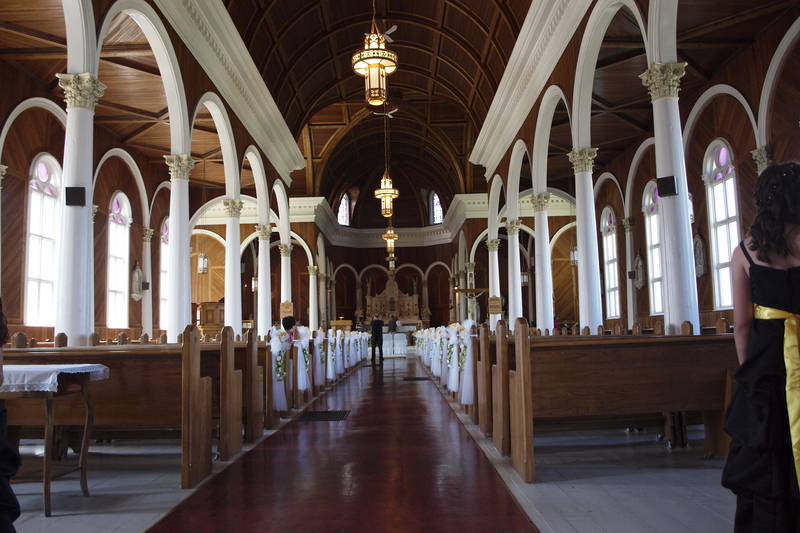 This organization is responsible for the church’s upkeep and often rents the building for weddings. Myself and my groomsmen arrived at the church first. We needed to ensure that we were ready for the ceremony (At least that’s what the minster said. He said that all too often grooms arrive late or not at all.) The room where we gathered looked as if nobody had entered the room in years. 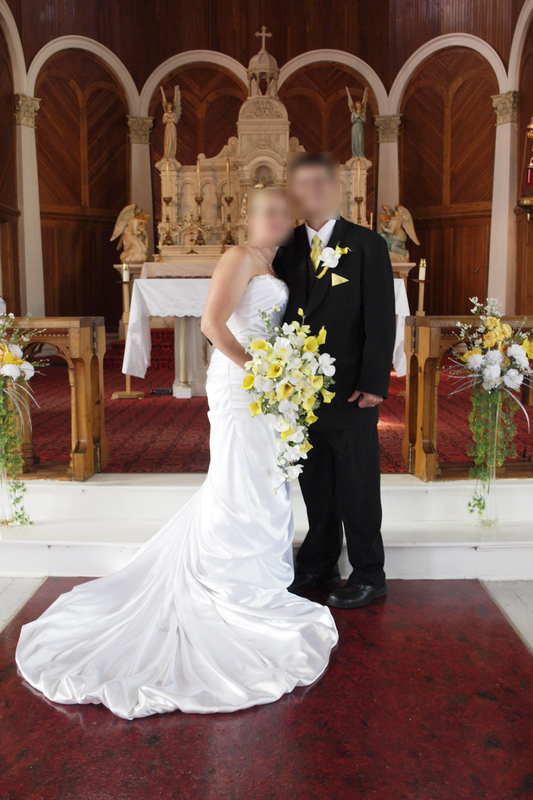 An antique pipe organ sat in the middle of the room, and a few church pews and a small alter adorned the wall behind us. 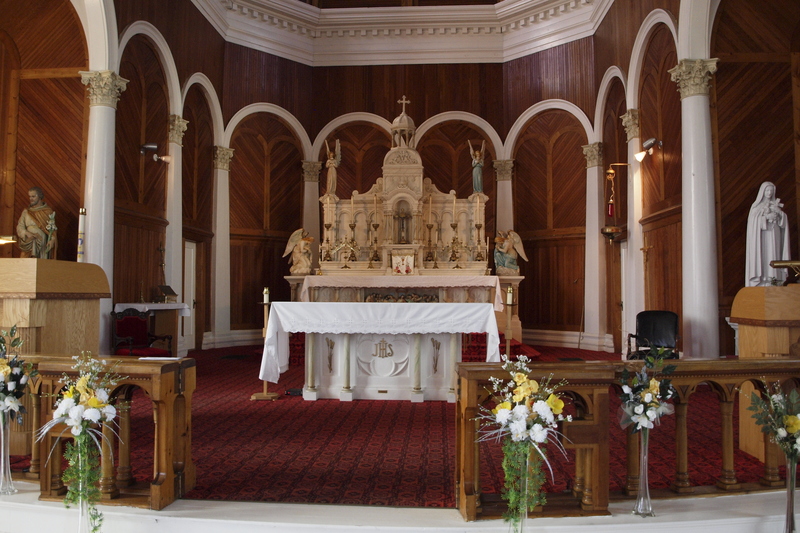 The minister explained that this room was used when the congregation was small, and the outside church was used when the place bustled with parishioners. While we explored the old records and other antiques in the room, the ladies arrived. I had everything under control (ya right) and wasn’t even breaking a sweat when the church music began. The song “Love Never Fails’ began to play and that was our cue to enter the church and take our place. The first to walk up the aisle was my son, accompanied by my two nieces. He had a smile ear to ear he walked up the aisle. 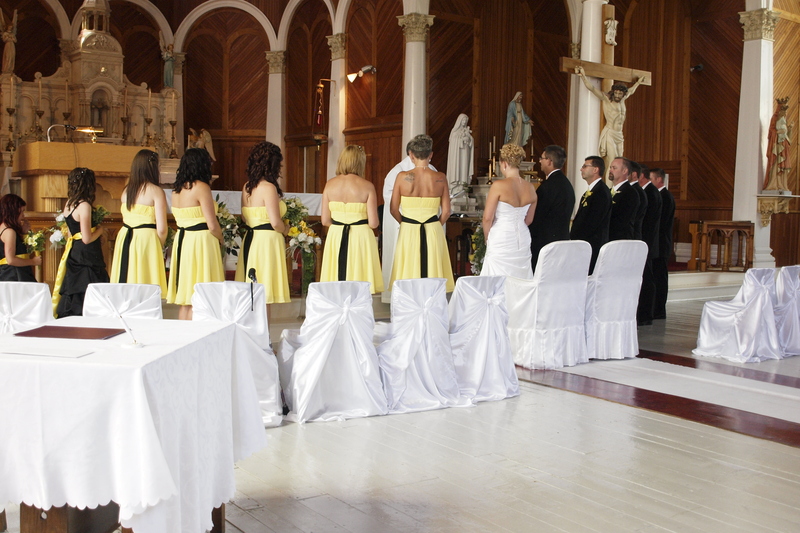 Next were our bridesmaids, who each stopped next to the pew where me and my groomsmen stood, and took their corresponding partner to the front of the church. Cool and collective, I wiped my now sweaty palms against my pants leg. The song changed to one my lady and I chose earlier that week. The song was called “How Beautiful”, and ironically, the minute the lyric “How Beautiful’ played, the church doors sprung open and there she was. Half the congregation looked at my bride, but a few stared at me, and my reaction to the most beautiful woman I had ever laid eyes on. I anxiously awaited her father to accompany her up the aisle, and when he did, we shook hands and he presented my future wife to me. The minister gave a delightful sermon, as he explained why people should marry. “It isn’t due to money or riches or convenience, it has to be about love. Not the word love, but for all the things that love brings.” He went on to say that true love is so much more than words, that it can mean standing in front of a bus for the one you love. That is how special true love is” Great sermon that really made some people think. Afterwards we posed for pictures along the picturesque areas surrounding the church and on the beaches nearby. Later we rode in the pontiac and headed for our backyard where our photographer continued to take pictures of my beautiful bride, myself, and our family and friends. Later we headed for the club for supper and our reception. One of the good things about being a wedding dj is that I got to create a playlist and play my own wedding. Don’t worry, I charged myself a fortune! As soon as the dances were over, we thanked everyone for coming and I turned on my playlist. The crowd danced into the wee morning hours and everyone commented on the great time they had. 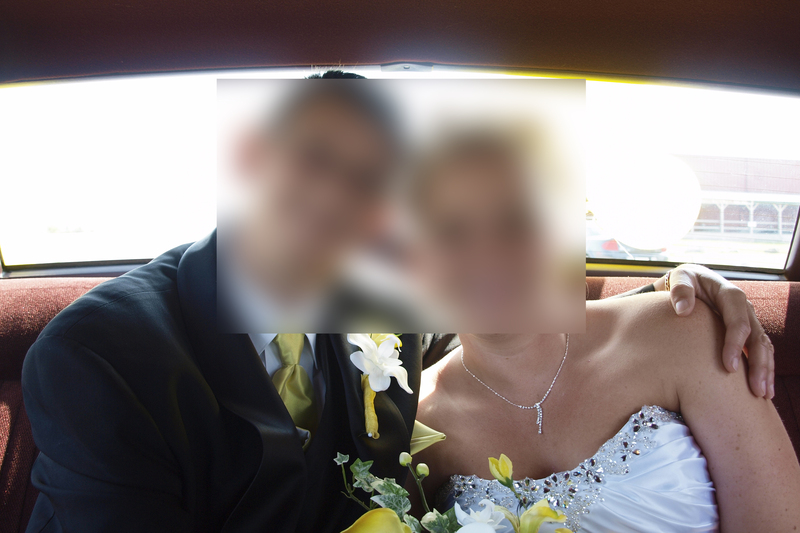 …and now a few wedding pics…. Congratulations, Sir! Here’s to a long happy union for your bride and you.